India lost first ODI from South Africa very poorly by 135 runs and in Second ODI as well they are not able to make a good total in their batting innings. 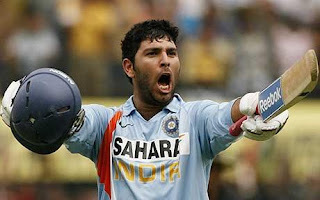 On Saturday 15th January 2011 India won the toss and elected to bat first against South Africa. Strong Indian batting line was badly crashed by South Africa bowlers and whole team was out on 190 runs in 47 overs. Yuvraj Singh made highest 53 runs for India. Lonwabo Tsotsobe again bowled superbly like first ODI and got 4 wickets for South Africa. South Africa is batting now and current score is 25/1 in 5 overs. India will have to all out South Africa if they want to win this ODI.